Students read and recognize different furniture. They should link the pictures with the correct word. 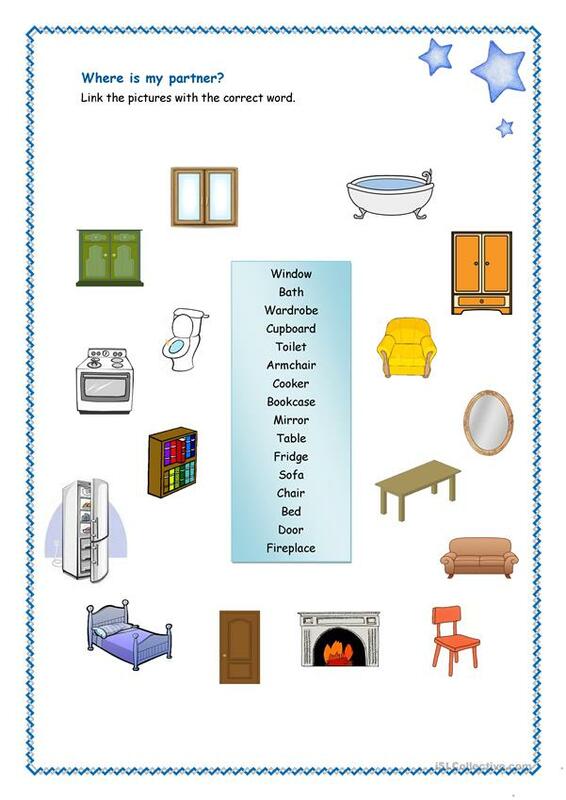 You can use it like a worksheet that they do alone or another way can be use it like a listening activity, the teacher read the different words and they should match it and write the order with a number next to the picture. The present downloadable printable is meant for elementary school students and kindergartners and nursery school students at Beginner (pre-A1) and Elementary (A1) level. It is useful for honing your class' Reading skills. It is about the theme of Furniture.